Casey Nagata is in his third year of teaching at King Kekaulike High School. He serves as the school’s music director for its symphonic band, jazz band, marching/pep bands, pit orchestra, concert choir, ukulele ensemble, and guitar ensemble, Tri-M Music Honor Society faculty advisor, and music theory and composition course instructor. He is also a co-founder of the Chop Suey Jazz Orchestra and one of its current music directors along with Siuai Laufou and Richard Tadaki. Casey graduated from Gonzaga University in 2009 with degrees in music education, music composition, and jazz performance. Prior to his position at KKHS, he worked as a substitute teacher, GED tutor, and Home Hospital instructor in the Maui and Spokane school districts, reed manufacturer at Jones Double Reed Products, and freelance musician and composer. His teachers include Sylvia Baker, David Fague, Robert Spittal, and Fr. Kevin Waters, SJ. DeShannon has played jazz trumpet and flugelhorn professionally in both Hawaii and New York City for over 20 years. He has performed around the world and in famous venues such as Birdland, Carnegie Hall and Radio City Music Hall. DeShannon is one of the founding members of the group “Bop Tribal” whose recording received a 4-star review in Downbeat Magazine and contended for a Grammy Award in the Best Jazz Solo category (DeShannon’s solo on “Jellyﬁsh”). His styles range from be-bop to New York-style hard bop and Latin jazz. As a bandleader, composer, recording artist, and visionary, he has assembled two bands of his own creation: gr00ve.imProV.arTists (an urban jazz-electronica dance band) and Quadpod (a neo-bop quartet). 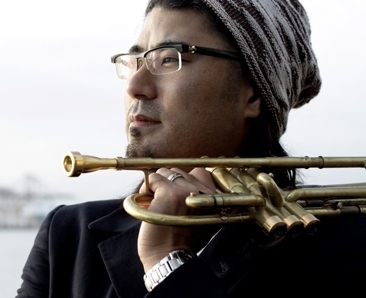 Born and raised in Japan, Shiro Mori brings a unique and original flavor into his musical expression. Honing his skills on the New York jazz scene, he has developed his own personal style as a performer, composer, and arranger. 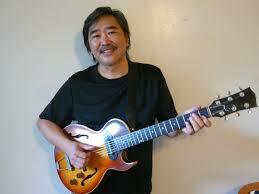 Presently his artistic and creative home is on the island of Maui, where he is a major player of both guitar and piano. Ellen Bellerose began studying jazz at 14 and started singing professionally at age 16. She performed as vocalist with the Glenn Miller Orchestra, then conducted by the great clarinetist Buddy DeFranco, touring the US, Canada, Japan and Europe. 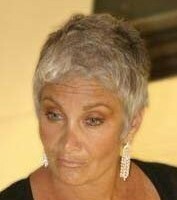 Ellen played lounges and nightclubs with jazz trios, quartets and orchestras on the mainland and in Honolulu before moving to Maui in 1984. She continues to pursue her lifelong passion of jazz singing in her weekly appearances at Kahana Grill with Shiro Mori. 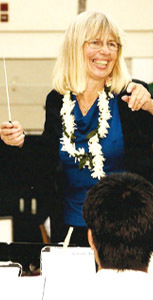 Lisa Owen is founder and music director ofthe Maui Community Band, which is comprised of musicians from allwalks of life—doctors, opera singers, car salesmen, bankers, teachers, hotel workers, high school students and retirees. The band includes more than 50 members ranging in age from 12 to 74. About half are students from local intermediate and high schools who yearn for more playing experience and challenges. The rest are adults who enjoy maintaining their skills, entertaining and mentoring the younger musicians. The band also includes seven band directors, most of whom serve as assistant conductors. 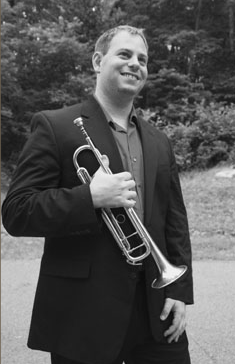 Alex Noppe teaches applied trumpet, jazz, and chamber music. He is currently finishing a Doctorate of Music in Brass Literature and Pedagogy from Indiana University. He previously completed a Master of Music at Indiana and holds dual bachelor degrees in Trumpet Performance and Jazz Studies from the University of Michigan. Alex has performed with the Indianapolis Jazz Orchestra, Hal Leonard Jazz Orchestra, David Baker Big Band, and the Buselli-Wallarab Jazz Orchestra. He is the resident composer/arranger for the Mirari Brass Quintet, which performs more than 25 concerts a year to audiences across the United States. He has appeared on stage alongside Eric Alexander, Chris Potter, Hank Jones, the Count Basie Orchestra, John Clayton, Leonard Slatkin, and Garrison Keillor.